At the Franklin D. Roosevelt Presidential Library & Museum in Hyde Park, New York, researcher Paul Troutman shows treasure hunter Rick Lagina and Rick’s nephew Alex a document indicating that Franklin D. Roosevelt, the 32nd President of the United States, believed that Oak Island’s treasure consisted of the Crown Jewels of King Louis XVI and Marie Antoinette, the last monarchs of France. 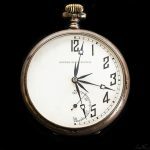 The narrator briefly explains that Roosevelt, whose maternal grandfather invested in the Truro Company (Oak Island’s second major treasure-hunting syndicate) in the mid 1800’s, developed an interest in the Oak Island mystery at a young age, invested in the Old Gold Salvage and Wrecking Company (another Oak Island treasure-hunting syndicate) in 1909, and retained an interest in the treasure hunt until his death in 1945. 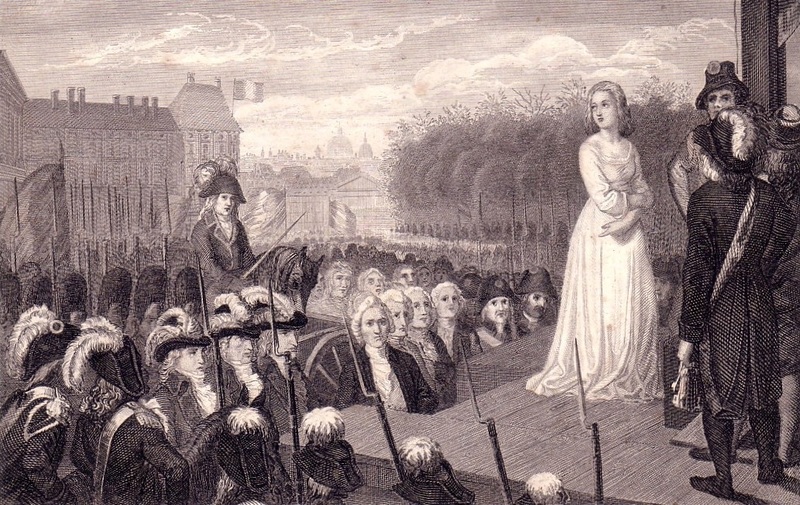 Troutman continues to read the document, which outlines the Oak Island theory espoused by FDR: namely, that Marie Antoinette, while fleeing Paris with her husband, King Louis XVI, on the night of June 20, 1791 (during the height of the French Revolution), entrusted her Lady-in-Waiting with the Crown Jewels of France and other priceless gems. 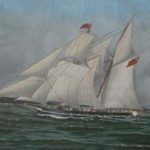 After the French monarchs’ subsequent capture, the loyal retainer brought the jewels with her across the Atlantic to the French colony of Acadia (present-day Canadian Maritimes). There, according to legend, she buried them, perhaps on Oak Island. Later that night, Rick contacts his brother Marty via Skype in his hotel room in New York City. Rick tells him about his and Alex’s experience at the FDR Presidential Library, relating Roosevelt’s Oak Island theory involving Marie Antoinette’s Lady-in-Waiting and the Crown Jewels of France. He then tells Marty that he plans to meet with Zena Halpern, the New York-based researcher who provided Oak Island Tours Inc. with several mystifying Oak Island-related documents in the Season 4 premiere. Marty congratulates him on his findings and wishes him further success, and the conversation is ended. The following day, Rick Lagina and Oak Island researcher Doug Crowell travel to Roslyn, New York, to meet with historian Zena Halpern. Halpern, upon meeting the two men, invites them into her home. 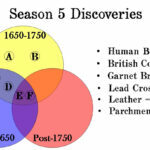 While the three of them settle around Halpern’s kitchen table, the narrator explains that Helpern discovered three strange documents by chance while researching hypothetical pre-Columbian trans-Atlantic voyages. One of these documents, bearing the date ‘1374’, appears to be a map of Oak Island. In Season 4, Episode 2, the Oak Island team investigated one the points of interest on this map, labelled “la traffe”, or “the hatch,” without making any significant discoveries. The second document Zena discovered is a map of what appears to be Nova Scotia, bearing the date ‘1179’. 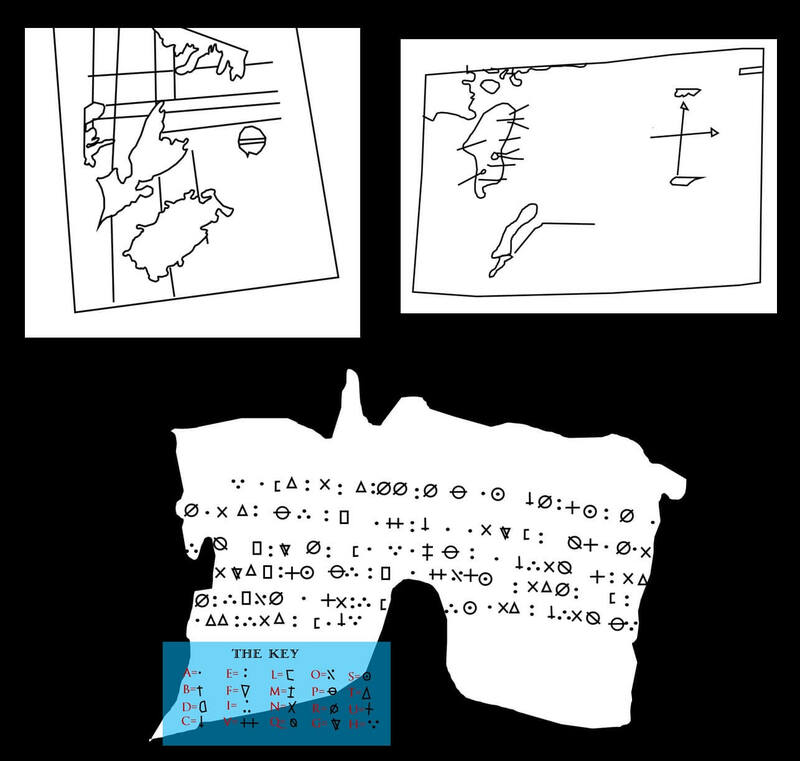 Halpern’s third document is a code which, when deciphered, appears to form a French message (see Season 4, Episode 1). 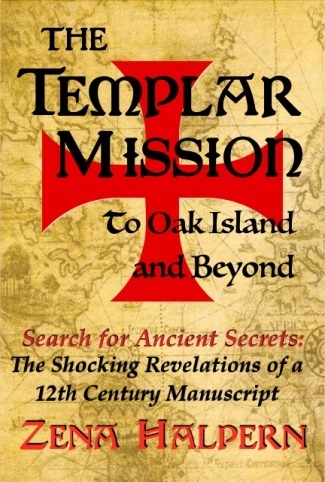 Zena Halpern informs Lagina and Crowell that, in her upcoming book The Templar Mission to Oak Island and Beyond, she “covers a 12th Century [1178-1180] Templar voyage” undertaken by an English nobleman and alleged Templar knight named Ralph de Sudeley for the purpose of recovering “ancient scrolls that were hidden in North America.” The narrator briefly mentions that some historians believe that de Sudeley discovered precious religious artifacts, including the Ark of the Covenant and the Holy Grail, while crusading in Palestine. Halpern claims that de Sudeley and his crew sailed across the Atlantic Ocean to North America, and stopped at Oak Island along the way. 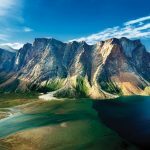 Helpern then makes the claim that her maps seem to suggest that the eastern shore of Nova Scotia was once riddled with natural gold deposits. 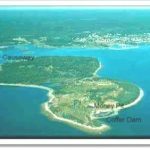 Crowell remarks that Gold River, a river which empties into Mahone Bay only several miles northwest of Oak Island, does indeed contain a modest quantity of gold dust. 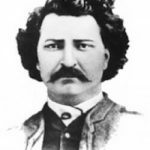 The narrator follows up on Crowell’s remark by alluding to a frenzied gold rush in Nova Scotia which lasted from 1861-1874. 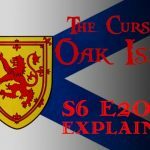 He then suggests that perhaps the Knights Templar exploited Nova Scotia’s auric riches during the High Middle Ages, and that their New World headquarters consisted of a castle located at present-day New Ross, Nova Scotia, a town which the men of Oak Island Tours Inc. visited in Season 4, Episode 1. Next, Halpern shows Lagina and Crowell an image of a Crusader coin bearing a symbol consisting of a cross with a dot in each quadrant, a variation of what is known as the ‘Crusader cross’. She observes that this Crusader cross is strongly reminiscent of one of the three symbols carved into what many Oak Island enthusiasts refer to as the H/O stone, a fragment of stone discovered on Joudrey’s Cove on Oak Island in the 1930’s. After concluding the meeting with Zena Halpern, Rick Lagina returns to Oak Island. There, he, Craig Tester, and Jack Begley meet with Jack Nichols of Dam-it-Dams, a cofferdam manufacturing company. The team tasks Nichols with building a cofferdam around a section of Smith’s Cove so that they can search for remnants of the stone box drains believed to be buried there without having to contend with the Atlantic tide. 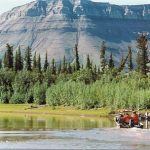 While Nichols explains how he intends to construct the cofferdam, the narrator recounts how contractor Jeremy Frizzell’s attempt to build a cofferdam in Season 4, Episode 11 was unsuccessful. Fortunately, Nichols and his team construct the cofferdam without incident, and the seawater within is immediately pumped out. With that accomplished, Rick Lagina and long-time Oak Island treasure hunter Dan Henskee meet with archaeologist Laird Niven, whom they have tasked with supervising the upcoming dig. Under Niven’s direction, Rick, Henskee and Jack Begley begin manually digging in a particular section of Smith’s Cove with shovels. 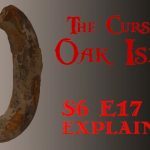 After some time, they encounter hard clay, which Henskee declares should not be naturally present at that particular section of Oak Island at that particular depth, and suggests that it was placed there by man. Shortly thereafter, Jack Begley uncovers a fragment of what appears to be coconut fibre, a substance which is not endemic to Nova Scotia. These finds indicate that the Oak Island crew is digging in the right spot; according to members of the Truro Company, which first discovered the Smith’s Cove box drains in the mid 1800’s, the Smith’s Cove box drains were covered by layers of clay putty, coconut fibre, eelgrass, and beach stones. Encouraged by the discoveries, Rick Lagina begins excavating the area in question with a backhoe. Immediately, he unearths a number of old logs which appear to be aligned in the same direction. After further exploration, he uncovers the remains of a wooden shaft, likely constructed by treasure hunters Robert and Bobby Restall in the 1960’s. Unfortunately, the team is unable to further excavate this shaft that day, as the sun is going down. They decide to call it a day. Before returning to the dig site the following morning, the Oak Island team pays a visit to Dan Blankenship’s home on Oak Island. 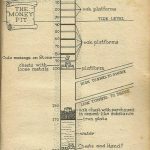 There, they pore over maps and diagrams in an effort to determine a suitable location for a third shaft in the Money Pit area. In an aside, Marty Lagina explains that the Oak Island team does not have an “obvious target” for a third Money Pit shaft, but that they do have a number of “inferential targets”. 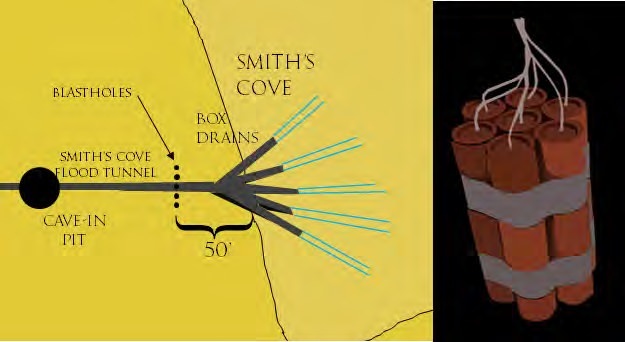 After studying a number of interesting documents, Marty suggests that they sink a shaft in the vicinity of the Valley 3 Borehole, which the crew now believes intersects a searcher tunnel leading from the Chappell Shaft (dug by the Oak Island treasure-hunting syndicate Chappells Ltd. in 1931) to the Money Pit as a result of their hammergrab excavation in Season 4, Episode 6. Rick, however, disagrees with Marty’s proposal, suggesting that they dig in a slightly different location. 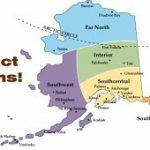 Craig Tester then suggests they dig at yet another location. The crew members agree to try to come to a decision later, and terminate the meeting. 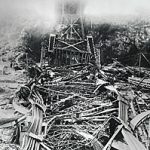 Later, it is revealed that the crew decided to sink a third hole in the Money Pit at the location championed by Craig Tester, which they dub ‘Tester 1’, or ‘T1’. At the Money Pit, they watch as contractors of Irving Equipment Ltd. prepare to begin work on the new shaft. 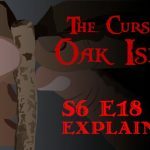 With that, the episode ends. 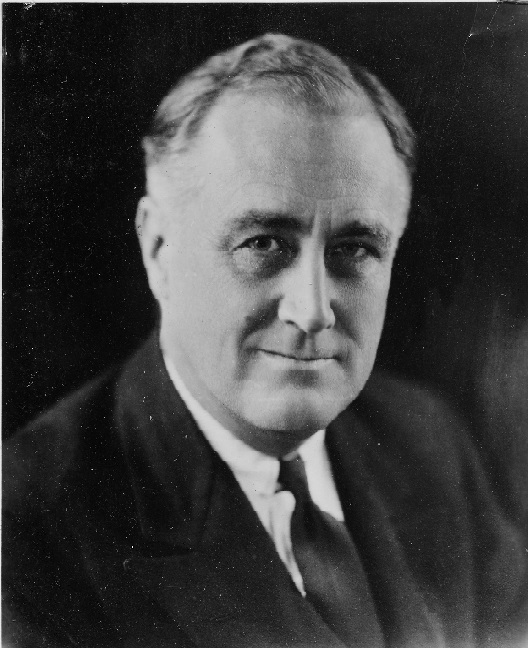 According to some Oak Island theorists- most notably former United States President Franklin Delano Roosevelt- Oak Island’s treasure consists of the Crown Jewels of France. Proponents of this theory typically hold that Marie Antoinette, the last Queen of France, entrusted her Lady-in-Waiting with the jewels’ safekeeping during the height of the French Revolution- a period considered by many to be one of the most important events in world history. In the wake of the Seven Years’ War (1754-1763 ; see Season 4, Episode 8’s ‘The Battle of Havana’), France- for centuries one of the most powerful kingdoms in Europe- had lost much of its wealth and international prestige. Burdened with post-war debt and all but bankrupt, France found itself in a serious financial crisis eleven years after the war, when nineteen-year-old Louis XVI ascended the French throne. Louis XVI- by all accounts a shy and indecisive monarch- had married a beautiful 14-year-old Austrian archduchess named Maria Antonia four years before his coronation in 1774. 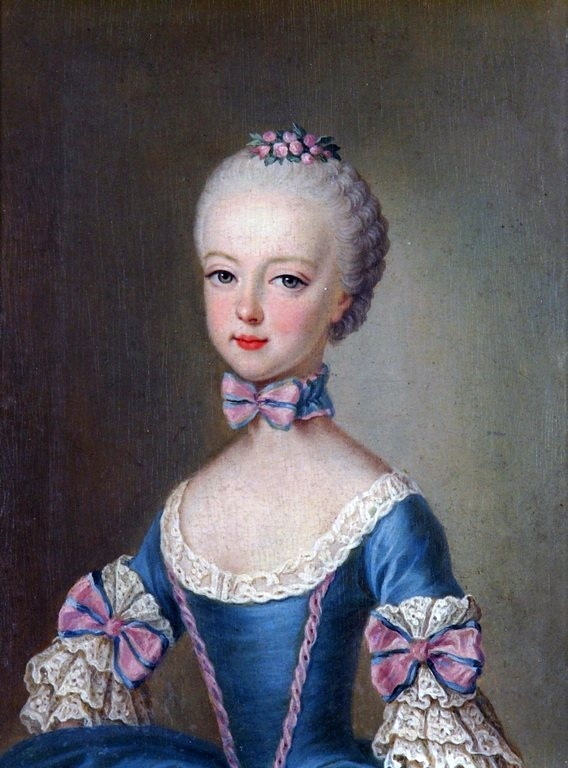 While many of the French peasantry warmed quickly to their new queen, whose name was Gallicized to Marie Antoinette following the marriage, others disliked her from the start, as she was a member of one of the nations that had caused France such grief during the Seven Years’ War. These disgruntled Frenchmen grew to resent her even more when they learned of the extravagant lifestyle she enjoyed, courtesy of often-starving (as a result of poor harvests and subsequently-soaring grain prices) French taxpayers. 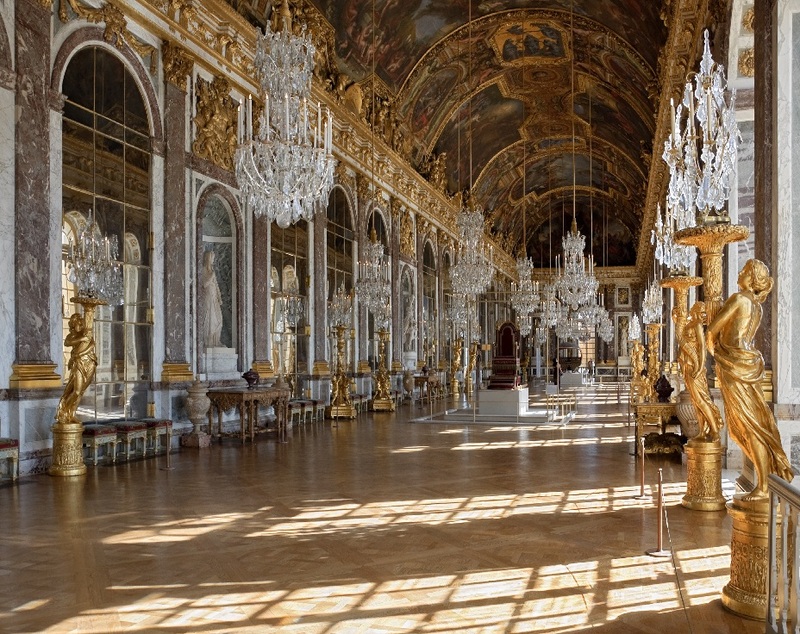 Marie Antoinette lived in Versailles, which had served as the capital of France since 1662, when King Louis XIV (also known as the ‘Sun King’) had his father’s hunting lodge there transformed into the magnificent Palace of Versailles. The ‘Sun King’ built his palace as a “gilded cage” for France’s power-hungry nobles, stipulating that each noble spend a certain amount of time living there each year, and implementing a court culture revolving around a series of elaborate rituals and ceremonies designed to occupy the visiting nobles and prevent them from conspiring against him. This court culture was still very much alive when Marie Antoinette came to Versailles. To entertain herself amidst the ritual tedium, she indulged in fashion, gambling, and theatre. Her heavy expenses earned her the nickname “Madame Deficit”. The French people’s aversion to the French elite didn’t stop at the queen, however. Many members of France’s poor peasant class (known as the Third Estate), which made up about 95% of France’s population, detested both the aristocracy and high-ranking clergymen of the Catholic Church for the heavy taxes they levied upon them- taxes from which members of both of these upper classes were often exempt. In addition to the Third State, members of a growing middle class known as the bourgeoisie (literally “town dwellers”), which chiefly consisted of wealthier merchants and craftsmen, held the French elite in contempt for their monopoly on political power. Adding fuel to the fire were radical new Enlightenment ideas espoused by French intellectuals like Montesquieu, Rousseau, Descartes, and Voltaire. 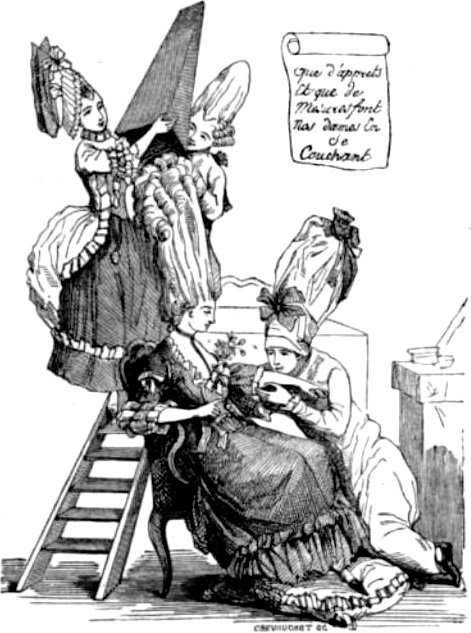 These ideas, which circulated throughout France by way of coffeehouses and salons, included the notions of ‘separation of power’, ‘consent of the governed’, republicanism, and ‘separation of Church and State’- ideas which contested the authority of France’s absolute monarchy and the Catholic Church. The ideals of the Age of Enlightenment, which contributed massively to Louis XVI and Marie Antoinette’s unpopularity, also contributed to the American Revolution, a conflict in which colonists of Britain’s Thirteen Colonies rebelled against the authority of the British Crown. Eager to make up for France’s humiliating defeat at the hands of the British during the Seven Years’ War, Louis XVI entered the war against Great Britain in 1778. Although France only engaged in a handful of naval battles with British forces, it provided significant strategic and economic aid to American revolutionaries. 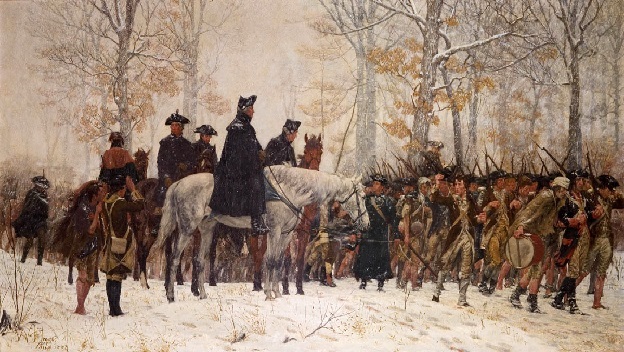 Due in part to France’s intervention, America won their War of Independence in 1783. While France’s key role in America’s victory over Britain restored much of the international prestige that it had lost during the Seven Years War, it also exacerbated its already-staggering debt. In order to combat France’s mounting financial crisis, King Louis XVI appointed and dismissed a succession of financial ministers whose proposed policies were either ineffective or unpopular with the king’s advisers. 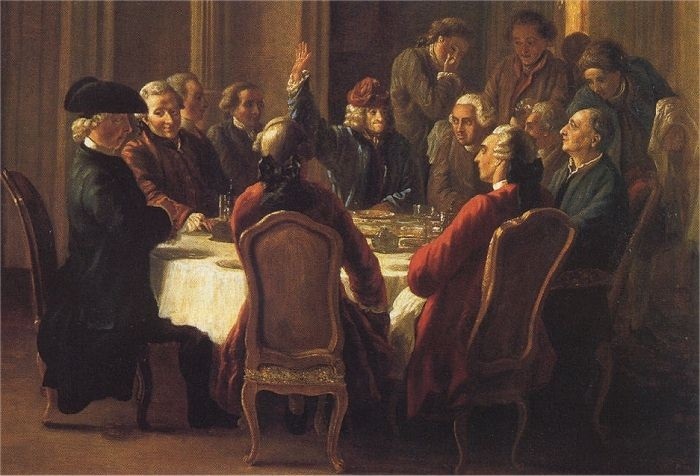 Finally, in a desperate move, Louis XVI called a meeting of the Estates-General- an assembly of representatives from France’s three estates: the clergy, the nobility, and the common people. Although members of the Third Estate occupied the vast majority of the seats in the Estates-General- which convened in Versailles in the spring and summer of 1789- , their collective voice held as much weight as that of the much smaller First and Second Estates; each Estate was allowed one vote, no matter its size. When their appeals to establish representation by population were overturned, the representatives of the Third Estate declared themselves the ‘National Assembly,’ a body independent of the Estates-General which would address France’s fiscal and agricultural issues with or without the members of the other two Estates. In order to prevent this renegade body from convening, Louis XVI ordered the hall in which the National Assembly planned to meet to be closed on a false pretense. Undeterred, the National Assembly congregated in a proto-tennis court nearby. There, they swore the Tennis Court Oath, a vow to continue to assemble until a constitution was established which would limit the power of monarchy and the First and Second Estates. 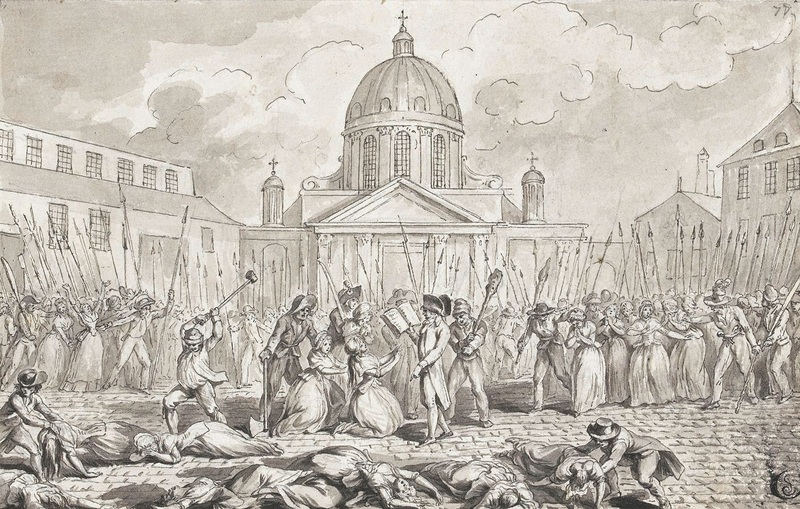 It just so happened that around this time, in July 1789, King Louis XVI had sent foreign mercenaries to Paris to quell the bread riots- uprisings characterized by bakery looting and vandalism in response to high bread prices- that had plagued the city that summer. Members of the National Assembly, fearing that the incoming troops had come to put an end to their crusade, looted Parisian armories and armed themselves with muskets. Then, on July 14, they stormed the Bastille, a medieval castle that served as an armory, political prison, and a symbol of royal tyranny. 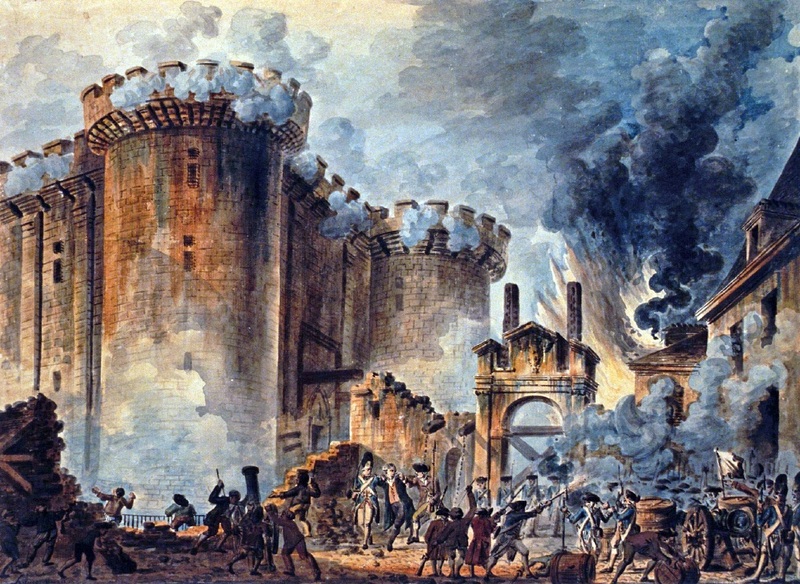 Supplemented by sympathetic members of the National Guard, the rioters quickly overwhelmed the fortress’ few defenders. 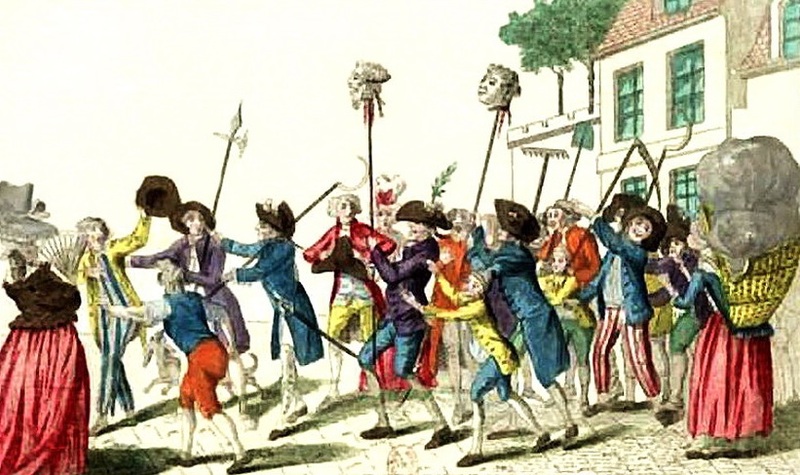 They celebrated their victory by decapitating the Bastille’s governor and parading his head- mounted on a pike- through the streets. Expecting royal troops to respond to the attack, Parisian revolutionaries constructed makeshift barricades in the streets. Instead of countering the revolutionaries, however, the mercenaries that had arrived to quell the bread riots dispersed on the king’s orders. 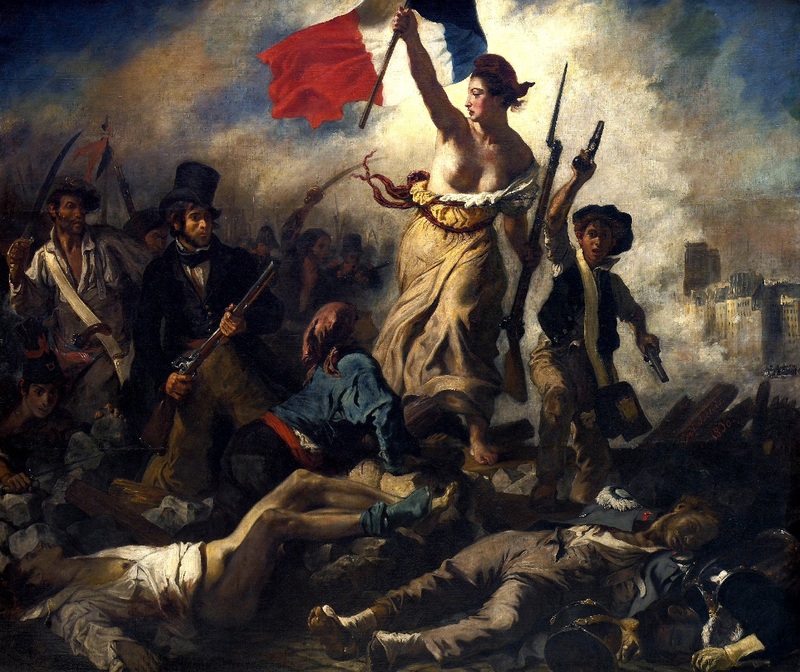 Word of this victory over the French monarchy spread quickly throughout the country, and soon the nation was seething with the spirit of the revolution. On August 4, the National Assembly took the next step towards popular sovereignty by abolishing feudalism. Later that month, they published the Declaration of the Rights of Man and of the Citizen, a constitution-like document championing freedom, equality, and sovereignty of the people. The months following the storming of the Bastille were characterized by peasant revolts and the establishment of free, often radical newspapers throughout France. Some of these newspapers incited violence against members of the First and Second Estates, and many nobles, fearing for their safety, left the country. 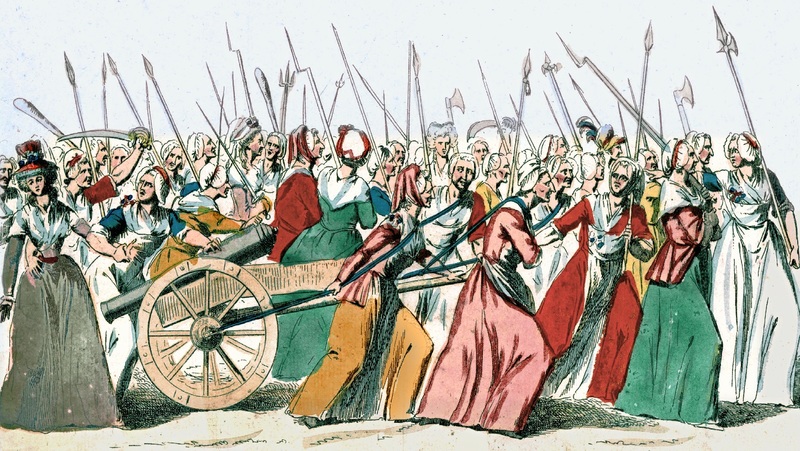 In early October, a mob of angry peasant women marched on Versailles itself. This march, which began as a search for bread, evolved into a movement to bring King Louis XVI, Marie Antoinette, and the royal court away from the palace to Paris, where, they believed, the aristocracy could more effectively govern the French people. 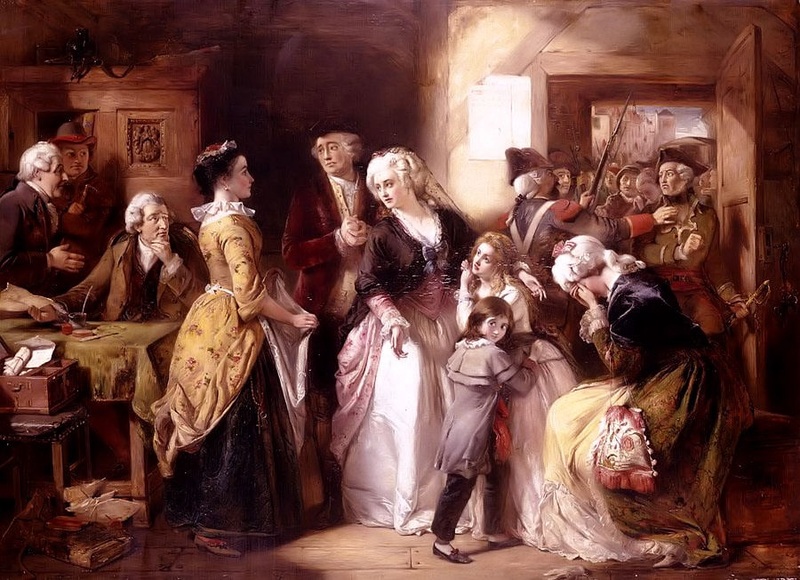 Upon reaching Versailles, the women selected six of their number to bring their entreaties to the king. 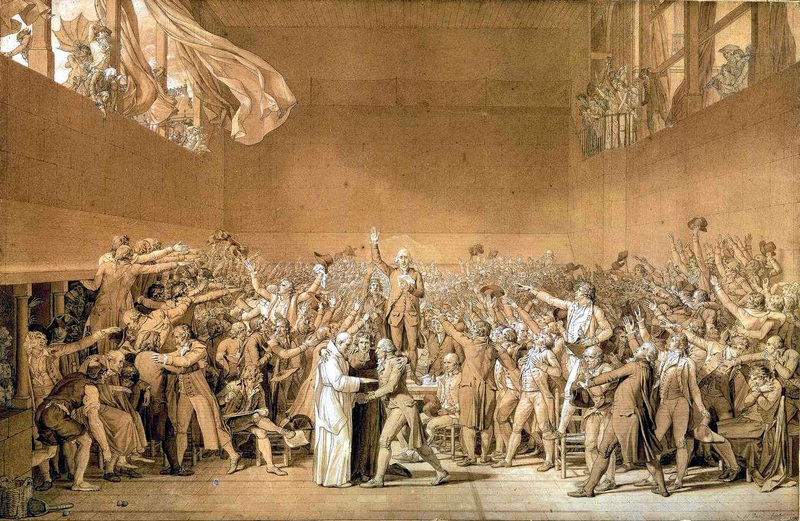 These representatives gained audience with Louis XVI without trouble and convinced him to distribute food to the mob. Many of the women, still unsatisfied, loitered around the palace. In a second attempt at pacification, Louis XVI signed the Declaration of the Rights of Man and of the Citizen, which the women had brought with them. The Parisian women, still hoping to drag the king back to Paris, stayed the night outside the palace gates. Early the following morning, the mob discovered an open gate and stormed the palace, searching for the queen’s bedchamber. In the process, they killed several guardsmen and mounted their heads on pikes. Eventually, Louis XVI defused the situation by emerging to address the mob. Without further violence, he, his family, and his courtiers accompanied the women back to Paris and took up residence in the Tuileries Palace. For two years, Louis XVI, held captive by National Assembly revolutionaries, governed France from Paris, regularly signing documents that eroded his power bit by bit. Fearful of the increasing fanaticism of the revolutionary movement, the king, at the behest of Marie Antoinette, decided to attempt to flee Paris with his family and make for Austrian Netherlands, where he might raise an army with which to reestablish the old order. On the eve of June 21, 1791, the French Royal family disguised themselves, piled into a single horse-drawn coach, and headed east. Unfortunately, they were recognized en route by a postmaster, who relayed the news of the royal journey to revolutionaries. The royal family made it to the town of Varennes-en-Argonne, only a few miles from the Austrian border, where they were captured by revolutionary forces and ultimately forced to return to Paris. Despite Louis XVI’s attempt to flee France, the National Assembly allowed the king to continue to rule the nation, albeit with considerable restrictions to his authority. That fall, they finished drafting the French Constitution of 1791, France’s first constitution, and promptly dissolved. 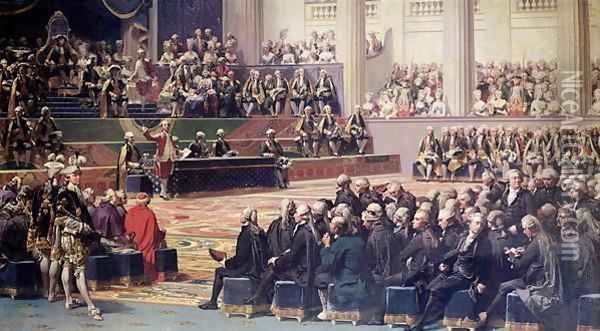 Their successors, members of the new Legislative Assembly, shared power with the king, transforming France into a constitutional monarchy like Great Britain. In the spring of 1792, France declared war on Austria- which was governed at that time by Marie Antoinette’s nephew, Holy Roman Emperor Francis II- , fearing that it would invade France with the goal of crushing the revolution and reestablishing the old regime. That summer, after suffering a number of crushing defeats at the hands of the Austrian army, the French learned that Prussia was about to join the war against them. The leader of the Prussian forces, a celebrated German general named Charles Ferdinand, Duke of Brunswick, drafted a proclamation, known as the Brunswick Manifesto, which threatened to harm French citizens if anything happened to the royal family. 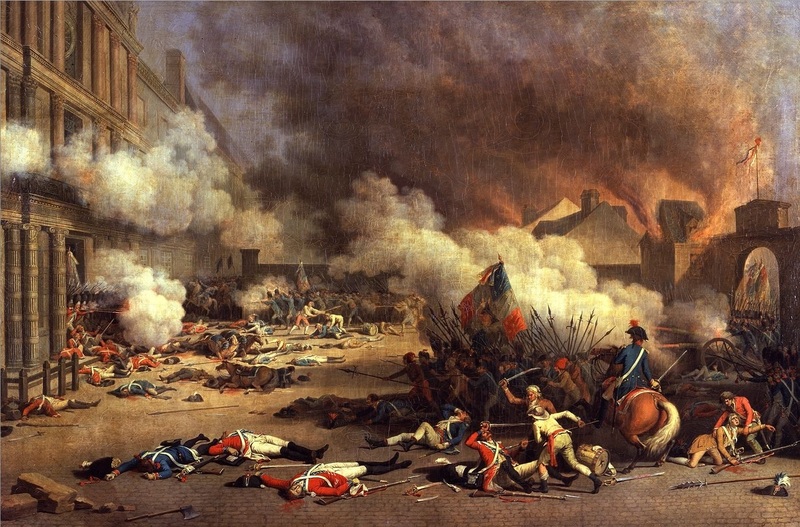 The proclamation, which was intended to intimidate Parisians, backfired, spurring the radical revolutionary citizens, known as federes, and members of the National Guard to storm the Tuileries Palace, where the French royal family lived, and engage in a ferocious battle with the king’s Swiss Guards. 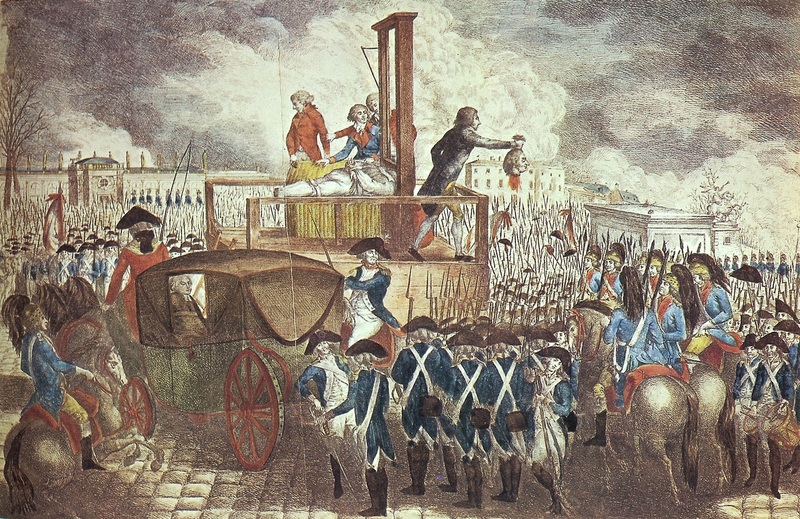 Although Louis XVI and his family managed to flee to the safety of the Legislative Assembly, the monarchy was effectively overthrown, if not officially. At that time, Austrian and Prussian forces were pushing towards Paris. Afraid that these foreign armies might take Paris and supplement their ranks with Parisian prisoners, National Guardsmen and radical federes emptied Paris’ dungeons and slaughtered their inhabitants en masse. These slaughters are referred to as the September Massacres. Later that month, following the Battle of Valmy in which French troops decisively defeated Ferdinand’s Prussian army, the Legislative Assembly officially declared the end of the French monarchy and the establishment of the First French Republic. Emboldened, the new Republic put Louis XVI, now known by the common name Louis Capet, on trial for his ‘treasonous’ attempt to flee France with his family on the night of June 21, 1971. The Capetian king was found guilty of treason and sentenced to death via guillotine, a newly-invented decapitation machine which would become a hallmark of the Reign of Terror that would follow his death. He was publicly beheaded on January 21, 1793. His wife, Marie Antoinette, met a similar fate on October 16 of that year. 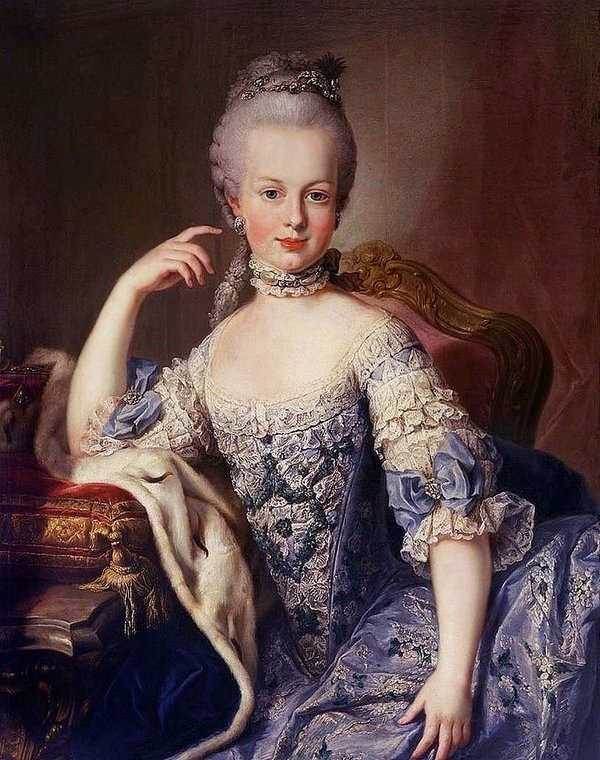 According to legend, before her flight from Paris to Varennes, for which she and her husband were ultimately executed, Marie Antoinette packed up the Crown Jewels of France, along with her vast collection of rubies, diamonds, pearls, and other precious gems she had accumulated at Versailles. 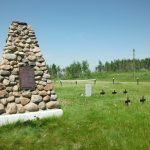 When she and her husband were capture in Varennes, however, the jewels were nowhere to be found. Legend has it that the French queen entrusted her most loyal servant- her Lady-in-Waiting- with the precious stones, and that the courtier managed to make her way across the Atlantic Ocean to the Acadian fort of Louisbourg, located in what is now Nova Scotia, following the capture of her mistress. 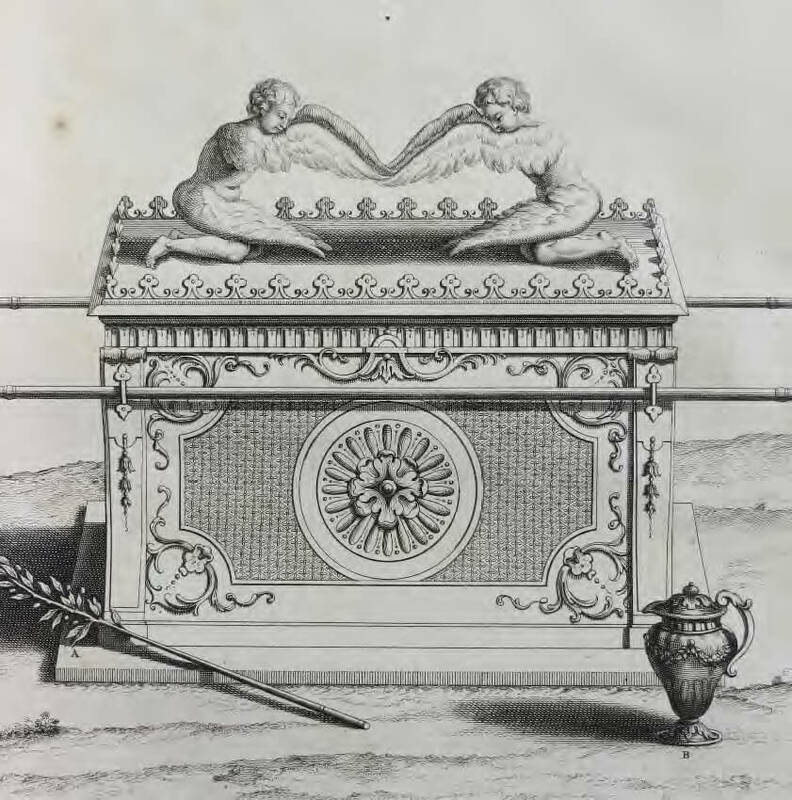 Some Oak Island theorists believe that she, accompanied by loyalist French troops, later buried these jewels on Oak Island when it became clear that the French monarchy was no more. 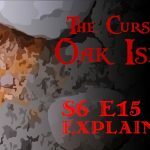 According to the late Oak Island researcher R.V. Harris in his book The Oak Island Mystery (1958, 1967), there are several potential problems with this theory. The most obvious problem is that most of France’s Crown Jewels are not missing. In fact, they were stolen in 1792, a full year after the royal flight to Varennes, and were all eventually recovered. The second problem with this theory is the fact that Louisbourg, the French fort Marie Antoinette’s Lady-in-Waiting purportedly brought the jewels to, had been in British possession since the 1758 Siege of Louisbourg, during the Seven Years’ War. 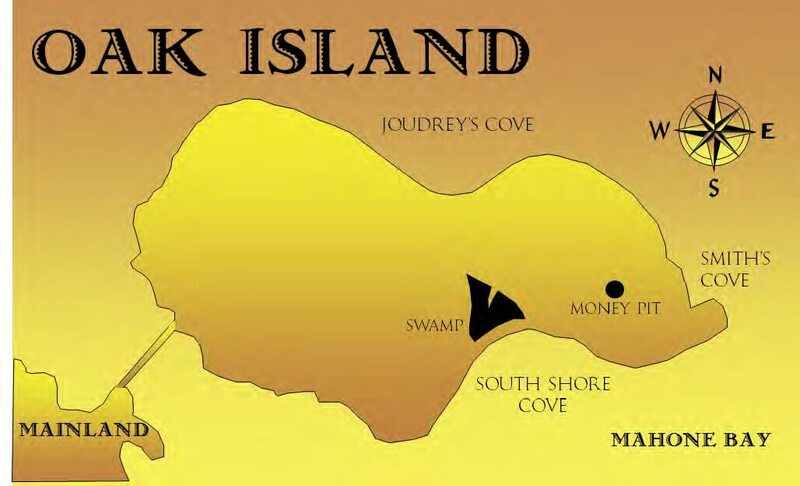 Third, it seems unlikely that French troops could have buried treasure on Oak Island after 1791 and kept it a secret; Oak Island and surrounding area had been inhabited by New English settlers since the mid 1700’s. 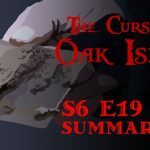 In this episode of The Curse of Oak Island, Rick Lagina and Oak Island researcher Doug Crowell met with Knights Templar historian Zena Halpern in Roslyn, New York. Halpern briefed the men on her theories regarding the nature of Oak Island’s underground workings, which revolve around hypothetical pre-Columbian Knights Templar voyages to Nova Scotia. 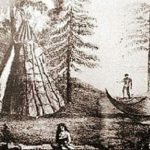 According to Halpern’s website, the New York researcher has uncovered “the story both of a secret 12th century Knights Templar mission to Oak Island and a mountain range in New York State, and of the efforts made by various secret societies over the centuries to either conceal or uncover the reasons for this mission.” Halpern intends to lay out her theory in her upcoming book, The Templar Mission to Oak Island and Beyond- Search for Ancient Secrets- The Shocking Revelation of a 12th Century Manuscript. Interestingly, Halpern, in the ‘About’ section of her website, reveals that she has worked with Gloria Farley, a close colleague of the late Harvard professor Barry Fell, who had developed his own Oak Island theory involving 5th Century Coptic Christians. Although little can be gleaned from the smallest stone, Gilbert Hedden assumed that ‘S.S. Ross 1864,’ the inscription on the middle stone, was graffiti carved by a labourer apparently named S.S. Ross who had worked on Oak Island in 1864. As for the largest stone, many Oak Island researchers suspect the ‘GIN’ might be part of the larger word ‘MCGINNIS,’ the family name of Oak Island co-discoverer Daniel McGinnis and his descendants, who lived on Oak Island for many years. 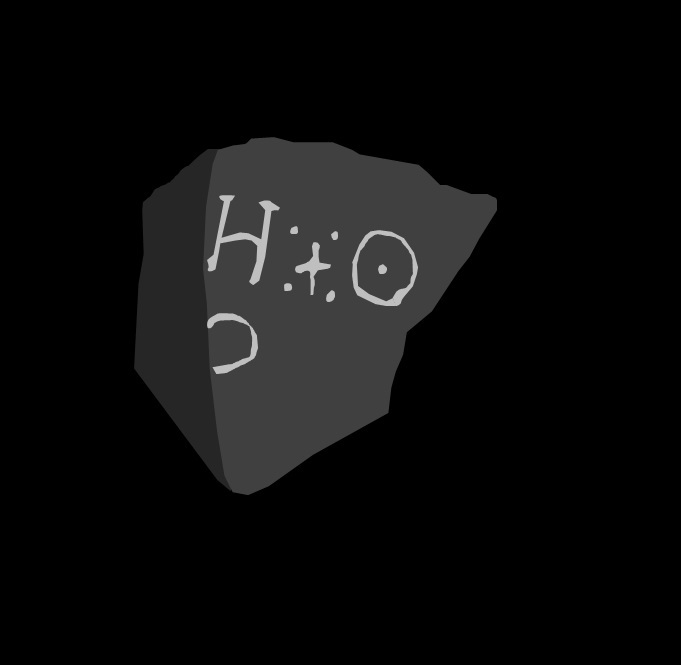 In addition to these three stones, Hedden found another stone on Joudrey’s Cove which stood out from the rest. This stone, which bore three strange, well-worn characters, is believed to be a fragment of a large boulder discovered by Oak Island workers in the 1920’s. Seeing the strange symbols carved onto its surface, these workers theorized that the boulder might be lying over top of some sort of subterranean treasure deposit. They dynamited the boulder accordingly, only to find that there was nothing of interest beneath it. 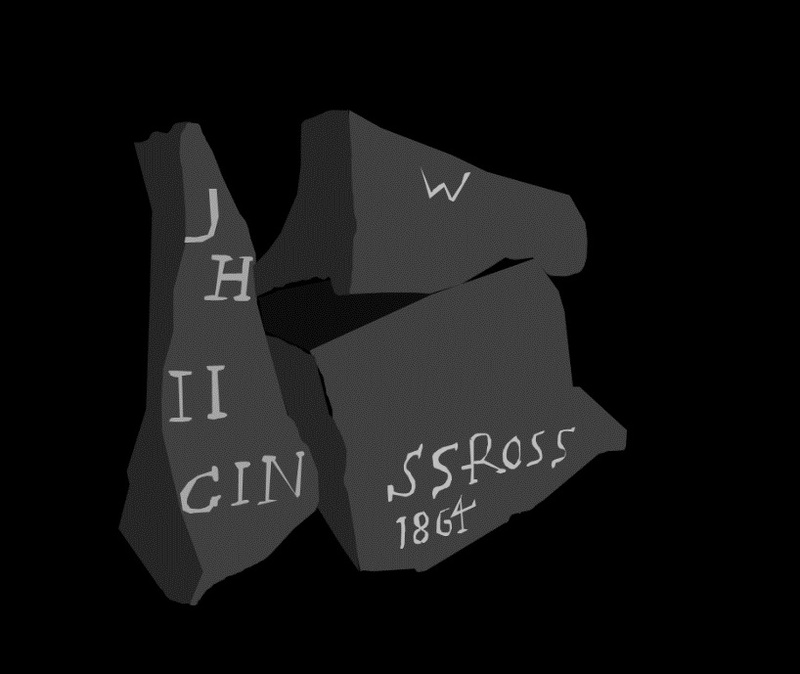 Some of the workers kept inscribed stone fragments as souvenirs, and the boulder was largely forgotten until Hedden’s discovery. 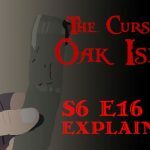 Although I investigate the history of the leftmost and rightmost symbols carved into the H/O stone in my book Oak Island, which you can access by clicking this link, in this article I will focus on the middle symbol, the cross with a dot in each quadrant, which is addressed in this episode. 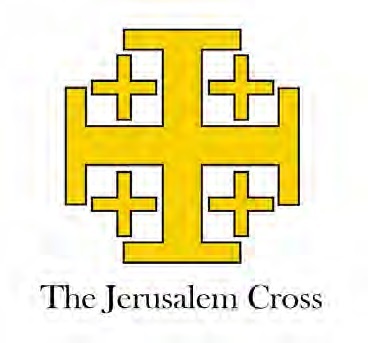 The cross with four dots is vaguely reminiscent of the Jerusalem Cross (also known as the ‘Cross of the Holy Land’ and the ‘Crusader’s Cross’) a large Greek cross (in which all arms are of equal length) with a smaller Greek cross set in each of its quadrants. Although commonly associated with the Crusades and the Crusader Kingdom of Jerusalem, the Jerusalem Cross is believed by some historians to have been, along with the Ichthys and the Chi Rho, an early symbol of Christianity adopted by 1st Century Middle Eastern Christians. The five crosses of which the Jerusalem Cross is comprised are widely held to represent the five wounds sustained by Christ on the Cross. Some Oak Island researchers believe that the Jerusalem Cross on the Joudrey’s Cove stone is an indication that the Knights Templar, a Christian order of monastic knights which had a key role in the Crusades, might have some sort of connection with Oak Island. 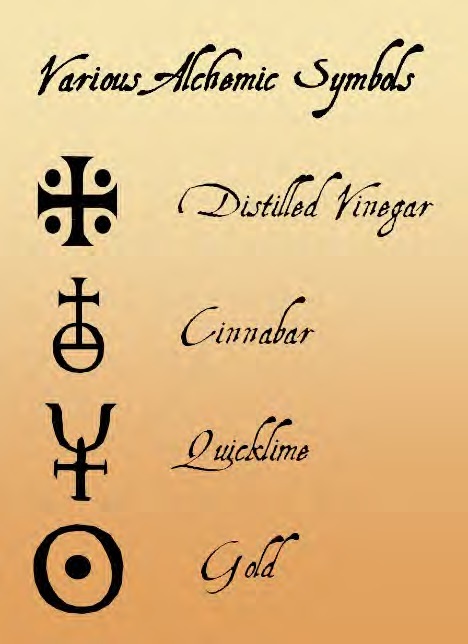 To medieval and Renaissance-era alchemists, the cross with four dots represented distilled vinegar, also known as ‘spirit of vinegar’. Some adherents to the theory that the Rosicrucians- members of a secret Renaissance society closely associated with alchemy- are behind the Oak Island workings cite the inscribed cross with four dots as evidence to support their theory. 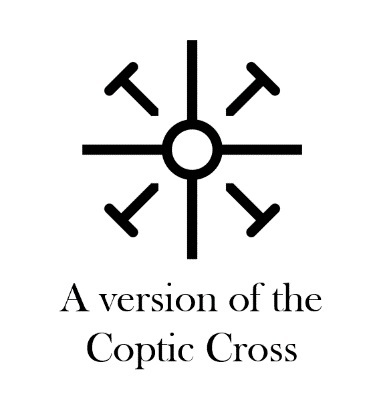 Some Oak Island researchers interpret the cross with four dots to be a variation of the Coptic Cross, a symbol used by Coptic Christians, another group believed by some to have a connection with Oak Island. 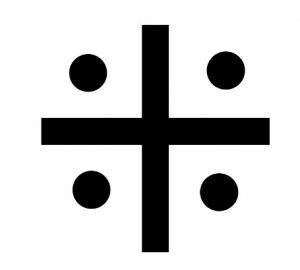 It is also interesting that the cross with four dots is also a variant of the Taxila Cross, a symbol of South Asia’s historic Indus Valley, as well as a symbol used as a reference mark in Japanese typography.